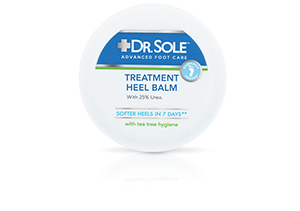 This specialised treatment heel balm contains 25% Urea and 50% moisturising and softening ingredients to effectively soften dry, cracked heels and feet in 7 days**. *Skin compatibility clinically proven. Dermatologist approved. 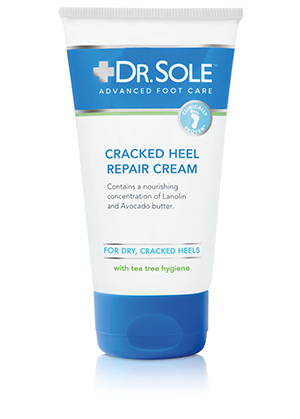 This hardworking heel repair cream provides an advanced foot care solution to dry, cracked heels and feet. With a nourishing concentration of Avocado Butter, Lanolin and 25% Urea to effectively moisturise dry skin. 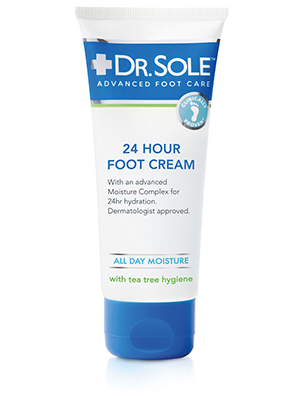 A dermatologist approved foot cream to provide 24hr moisturisation to feet, ankles and legs. This advanced foot cream helps to replenish and restore lost moisture and nutrients required by the skin by building a 24hr hydration barrier. 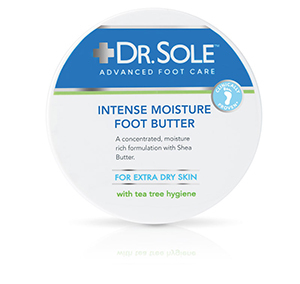 An advanced moisture rich foot butter formulated with Shea Butter to intensively nourish and soften dry and extra dry skin. DR SOLE ADVANCED FOOTCARE 2016 LEGAL DISCLAIMERS 2016 DR SOLE ADVANCED FOOTCARE. ALL RIGHTS RESERVED.